In recent years, intelligent building systems have become standard in residential buildings as well as commercial buildings. 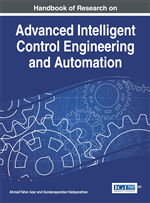 This chapter presents a novel system for controlling such buildings using natural user interfaces. Due to advanced logic, it is capable of identifying people occupying defined areas and recognizing their gestures. The system cooperates with a Domatiq System – Intelligent Building Management System, to provide an overall control of the building. This allows the user to control particular building components in a more natural way. Results shows that for the elderly or disabled people a more natural method of controlling some appliances is more convenient than, for example, by remote controllers. This system can also be used to control and monitor such people, giving them a sense of comfort and safety in their homes while respecting their privacy. Intelligent buildings are buildings which, by their physical structure and specialized computing devices adapt to the changing needs of its users and organizations that use that building. Such a building should provide specific services to residents, manage the administration, operation and maintenance (Heckman, 2008). Basically, smart homes are equipped with advanced automatic systems of sensors and actuators for various pre-programmed functions and tasks such as lighting, temperature control, multimedia, window and door operations, etc. Smart buildings allow residents to control various aspects of the behavior of a building by using a computer system. Users are able to control various devices such as the audio-visual media and other functions using a computer, touch pad, tablet or smartphone. Unfortunately, the main problem with this solution is that, although they improve convenience compared to a conventional home, users still have to physically interact with these devices and provide some techniques for the user authentication through a password, biometrics or RFID chips. On the other hand, humans communicate and interact with each other using both verbal and non-verbal languages. Verbal language is one of the most natural forms of human-human interaction. It has been used in many virtual systems (Gratch, 2007) for human-computer interaction. However, speech recognition with its low accuracy and subtle rules of syntax and grammar of various languages is a very difficult task. These negative factors limit the practical use of verbal language. However, non-verbal communication such as gestures and body movements, as a secondary means of communication can be employed as another human-computer communication way to enhance the interaction performance. It is therefore logical to use this method of communication in dealing with the intelligent building. But, to our knowledge, few works pay attention to this topic in the virtual reality community (Gobron, 2012). In this context, several research projects have been developed. The DOMUS (Carner, 2009) project requires a smart control to gather information and impart instructions, one or more home automation devices to be controlled, and an internal communication network that allows the exchange of messages among the control system and the devices. A system described in (Ben Hadj Mohamed, 2013) uses a Microsoft Kinect to detect a few simple gestures but does not provide a system to control the entire building or even a single room. 'Soft Remote Control System' described in (Yang, 2006) utilizes three CCD cameras to control multiple home appliances based on hand gesture. This human-friendly gesture-based interface system is able to recognize 10 different hand gestures but is very sensitive to lightness and the overall scene tint, and so more is simple and very restricted. Another very interesting smart home system is developed by Think Big Factory. Their Openarch (Openarch, 2013) system provides the user with a possibility to control the house’s components by the movement of the body, also to hold conferences from home, to know the power consumption at any time and activate any electrical household appliance from work or even share a live video. But it is still a prototype. A wery interesting and promising idea is presented at (Pu, 2013) where the authors transforms Wi-Fi into a gesture-recognition sensor. Their recognition system leverages wireless signals to enable whole-home sensing and recognition of human gestures. Since wireless signals do not require line-of-sight and can traverse through walls, WiSee can enable whole-home gesture recognition using few signal sources. Their results in a 2-bedroom apartment show that WiSee can extract a rich set of gesture information from wireless signals and enable whole-home gesture recognition using only two wireless sources placed in the living room. There are also a simpler systems that only interprets a 3D hand gestures like (Kellogg, 2014; Kristensson, 2012; Takanashi, 2012). They can be used to control a selected devices from a near range or they can be installed in a specific place, for example at wheelchairs, helping disabled people to control things by only a hand. Structured Light: The process of projecting a known pattern of light (for example: lines, grids, bars, etc.) on to a scene. Gesture Recognition: A topic in computer science and language technology with the goal of interpreting human gestures via mathematical algorithms. Human-Computer Interaction: An interaction between a man and a computer taking place through the user interface. Domatiq System: An intelligent building management system designed to monitor and control the mechanical, security, fire and flood safety, lighting and humidity in a building developed by SIM Ltd. Intelligent Building: A building controlled by an advanced, smart Building Management System (often referred as Smart Building). Distributed System Architecture: A system in which components located on a common network communicate and coordinate their actions bypassing messages. Natural User Interface: A system for human-computer interaction that the user operates through intuitive actions related to natural, everyday human behavior.